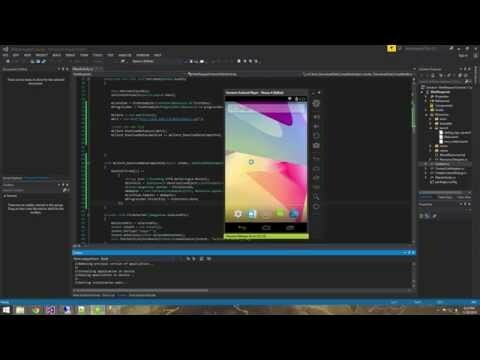 I'm a beginner with Xamarin Android. I'm trying to build an app that uses a REST service to get data from the server. I'm trying to call the web service inside a fragment which uses a recycler view to list the contents of the data. The issue is, the call to the client function is made after the recycler adapter class has been called so the data doesn't get populated. I'm calling the web service inside OnCreate because calling it inside OnCreateView doesn't fire up the DownloadDataCompleted event. I want this event to be fired before the adapter class is called so the notification variable has the data to be passed to the recycler view adapter. How do I achieve this? i have same problem .how u resolve this?can u help me? i saw this video but it didnt help me.